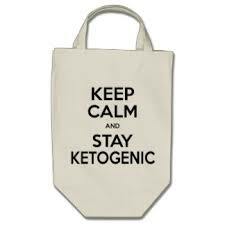 My diet is based on a Paleo diet that focuses on being ketogenic. What is that? 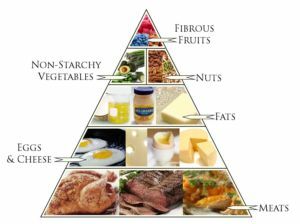 The ketogenic diet is a high-fat, measured out amount of adequate protein and low carbohydrates. The diet forces the body to burn fats rather than carbohydrates. Normally, the carbohydrates contained in food are converted into glucose (sugar), which is then transported around the body and is particularly important in fueling brain function. However, if there is very little carbohydrate in the diet, the liver converts fat into fatty acids and ketones.The ketone pass into the brain and replace glucose as an energy source. An elevated level of ketone bodies in the blood, a state known as ketosis, and that is when you start burning fat and lose weight. I followed the ketogenic diet and I lost about 10 pounds a month, which then trickled down to a lesser amount until completion of the diet. I started my diet in September, 2011 and lost 40 pounds by the the end of January, 2012 (about 5 months). My diet consists of 6 protein based meals a day, every 4 hours. Two small salads a day, four small servings of vegetables a day and two small servings of fruit per day (with my carb instake being only 50g to 100g per day). I stopped eating most wheat products, rice and potatoes. In the maintenance phase, you can incorporate those in, but you should measure out carbs and you should not go over 150g of carbs per day if you want to stay thin. Below 50g of net carbs each day is sufficient for most people to stay in ketosis. Make sure to get your carbs from vegetables (10-15g), nuts and seeds (5-10g), and fruits (5-10g). Keep in mind that in Europe food labels generally show net carbs, while America shows total carbs. Calculate net carbs by subtracting fiber from total carbs. Medicaldaily.com wrote about a woman following this diet and they showed a time-lapse video of her transformation of 88 pounds in a year. Check it out. I can attest to the magical effect of this diet, as far as I changed in the same way. However, I did exercise during my transformation, which is why I lost 10 pounds a month and she seemed to lose about 6 or 7 pounds per month.